If you thought Angry Birds was conquering the virtual world, it seems that it is about to take one giant step into the physical realm too, launching at least one activity park in the UK in 2012. As the Telegraph reports, the first Angry Birds activity parks are going to launch next year, and will feature themed slides, towers and rope-swings all built around the smartphone game that has taken the mobile world by storm. Angry Birds has been taking massive strides into the merchandising world this year already, with soft toys, clothing and even an Angry Birds Cookbook, which The Next Web got a sneak peak at when we visited the game’s creators’ (Rovio) HQ in Finland earlier this year. Rovio has penned a global deal with activity park manufacturer Lappset Group which will see the first two parks launch in Finland, with several others expected to spring up in the UK throughout the year. When this will happen, and where the UK parks will be based, remains to be seen. The Angry Birds park will include around twenty products, including animal spring riders, swings, sandpits and a range of climbing towers with slides. 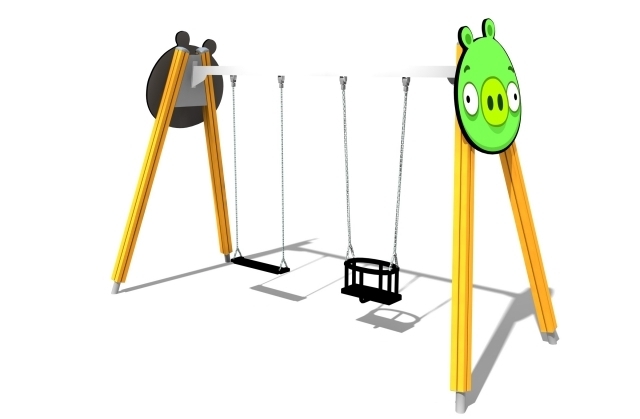 Familiar characters from the mobile game will be incorporated into the playground equipment, with a colour scheme to reflect the Angry Birds environment. There will also be an Angry Birds arcade game that can be played outdoors in the park. We also reported earlier this year that a feature-length animated movie based on the game is on the cards at some point too, with a shorter animated series thought launching in early 2012, so we can really expect to see Angry Birds’ omnipresence cranked up a few notches in the months and years ahead. Angry Birds is played by some 30m people each day, and as we reported back in June that it is well exceeding 1m downloads each day. If you think the activity parks will be aimed purely at children, then you can think again. 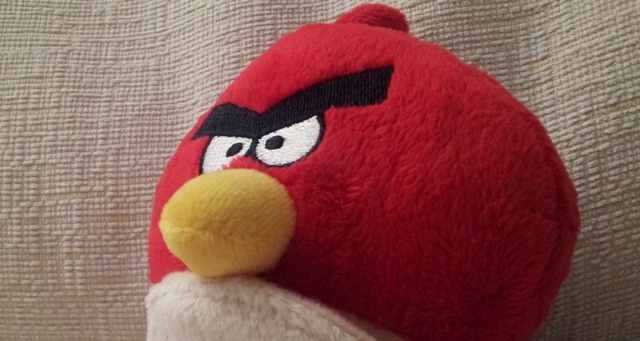 Earlier this week it was reported that the Angry Birds game was most popular in the 35-44 age-group on Android. Will this trend translate into slides and swings? Only time will tell.